"Some of this actually happened." Or so says a title card at the beginning of American Hustle. 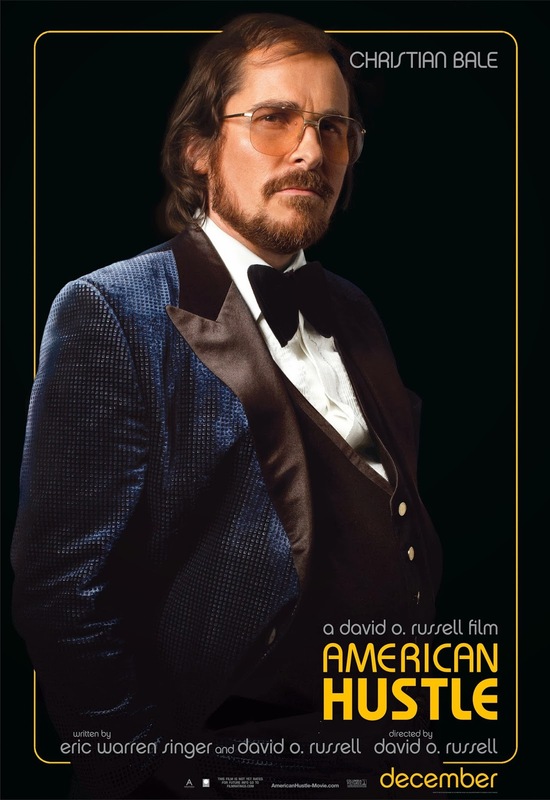 American Hustle stars Christian Bale as Irving Rosenfeld, a grade-A conman in New York City. Starting confidence scams in his pre-teens, Rosenfeld is as street smart as he is careful with his money. He finally meets his match when Sydney Prosser (Amy Adams) walks into his life. She's as smart as he is, and is looking for a long con herself. They hit it off in almost every way, but the trouble is, Irving already has a wife: a brash young mother who serves as who serves as larger-than-life comedic relief throughout the film (Jennifer Lawrence). When Rosenfeld and Prosser are pinched by FBI Agent Richie DiMaso during a loan scam, they agree to help the Feds snare some big fish in exchange for their freedom. The entrapment sting the trio concocts - based on the real life ABSCAM case - gets larger and larger, until it eventually involves New Jersey politicians and Mafia members. It's almost a shame that a mayor on the take (Jeremy Renner) gets caught in the web of lies, since he is the most sincere character in the film. Unfortunately, answering the questions of "who is being targeted by FBI and why" are almost an afterthought to American Hustle. There is an improvisational quality to film, and whether actors were actually adlibbing or the film had terrible editorial control is unknown. There are scenes of tension and comedy, sometimes working wonderfully, sometimes undercutting each other. Thematic elements about the role honesty plays in friendships and romance are not fully explored either. The gamesmanship that arises from all of the actors trying to outshine one another (both in character and out) leads to several beautiful asides and revelations... but these asides take over the film, and as a result the narrative frequently loses direction. Many scenes go on longer than they need too, and plot points are buried behind flashy sequences and scenery chewing performances. Director David O. Russell mixed pathos and humor expertly in last year's Silver Linings Playbook, which also had a loose structural quality about it. Unfortunately by adding a third layer in American Hustle - the con game - all of the film's elements have become lost and muddled. It's a shame, because there is a great, Goodfellas-style crime story buried somewhere in the material. And it would have had a twist of humanity that Henry Hill and company never showed. American Hustle doesn't live up to the hype, and while it isn't terrible, it is unsatisfying. It isn't as fun - or as deep - as it could have been. Russell co-wrote American Hustle with Eric Warren Singer. Louis C.K. also stars.